Once upon a time two people from different sides of the tracks met and fell in love. Never before had the two people found another person who so perfectly complemented them. Society tried to keep them apart – “It’s just not how things are done,” they’d say. But times were changing, and this sort of pairing was becoming more socially acceptable. They met at the perfect time. Ops had grown tired of the day to day grind of solving other people’s problems. Enough was enough and she needed a change in her life. A perfectionist and taskmaster to the highest degree, she tended to be very controlling and possessive in relationships. It became more about commands than conversation, making life miserable for both parties. She began to realize she hated change, and felt like she spent most of her time saying “No.” It was time to open up and begin to share to make a relationship work. Dev, on the other hand, was beginning to mature (a little late in the game, as guys seem to) and trying to find some direction. He had grown tired of communication breakdowns in relationships – angry phone calls in the middle of the night, playing the blame game, and his inability to meet halfway on anything. He began to realize most of those angry phone calls came as a result of making impulsive decisions without considering how they would impact others. His bad decisions commonly led to performance problems and created a mess for his partners. Dev wanted to more actively seek out everything that makes a healthy relationship work. The timing was right for a match made in heaven. Dev and Ops openly working and living side by side to make sure both contributed equally to making their relationship work. Ops realized she didn’t have to be so controlling if she and Dev could build trust between one another. Dev realized that he caused fewer fights if he involved Ops in decisions about the future, since those decisions impacted both of them. It was a growing process that caused a lot of rapid and sudden change. Although, like most relationships, they knew it was important to not move too fast, no matter how good it felt. Dev and Ops dated for about four years before they decided to get married. Now they will be living together and sharing so much more; will their relationship last? How will it need to change to support the additional closeness? But they aren’t worried, they know it is true love and will do whatever it takes to make it work. Relationships are always hard, and they know they can solve most of their problems with a reboot, hotfix, or patch cable. Will you accept their forbidden love? 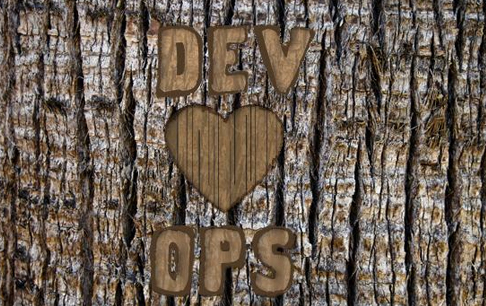 DevOps dramatically simplifies application support because everyone has a better view of the big picture. 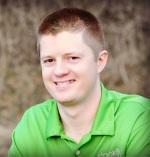 About the author: Matt Watson is the Founder & CEO of Stackify. He has a lot of experience managing high growth and complex technology projects. He is on a mission to simplify the daily lives of developers and how they support their production applications by leveraging DevOps.